We seek to bring harmony to each heart + home in the Spice Isle so We May all live together in joy and peace. I started to practice yoga in 1992 at Yoga and Meditation Center of Montclair in New Jersey. During that time I was doing my medical residency in Internal Medicine and Pediatrics. The yoga classes helped me to relax and maintain my sanity during that stressful period. I came home in September 1999 to start the Brooks-Smith Lowe Institute. I continued to practice yoga at home with DVD’s since there were no classes available in Grenada at the time. Eventually, however, I wanted to deepen my practice and to be able to introduce patients to the healthful practice of Yoga. I completed a 500 hour teacher training at The College of Purna Yoga in Bellevue Washington on 12th September 2009. It is a pleasure to introduce the practice and philosophy of yoga to residents of Grenada. I am hopeful that the practice will be embraced by people from all strata of our society. 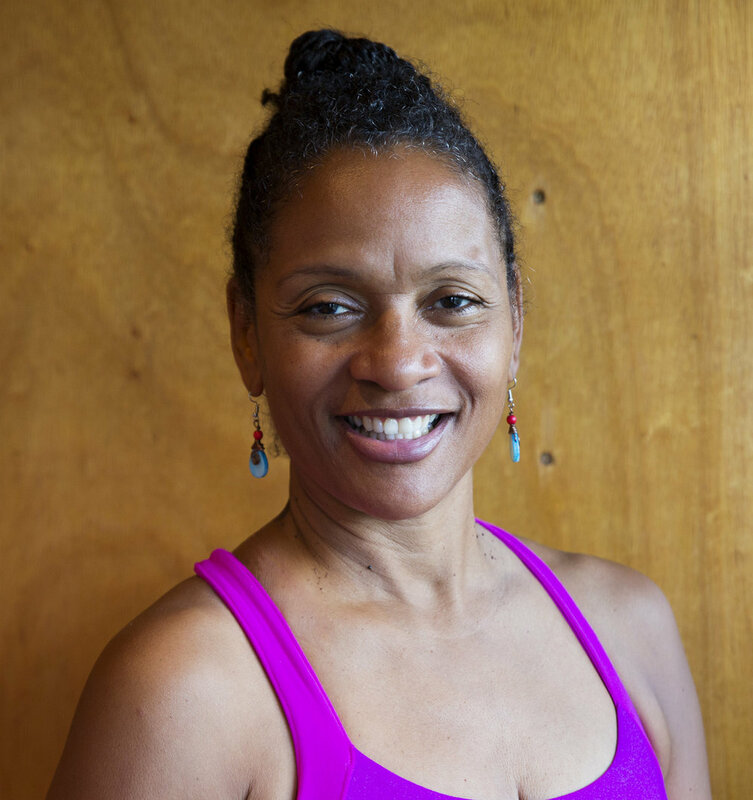 Malaika has been teaching yoga for 8 years and is currently training to become a Professional Yoga Therapist at Kripalu School of Integrative Yoga Therapy. She is a member of the International Association of Yoga Therapists. She is also a provisionally certified Birth & Postpartum Doula with SMC Full Circle Doula Training and a Mama Glow Doula Trainee. Malaika has had the honor of hosting healing sessions in Trinidad & Tobago, Jamaica, Bahamas, The United States, England, Mexico and Peru. My first experience with the practice of yoga was with George Henry at the old Teacher Training College in Tanteen, Grenada in the mid 1980’s. That experience made me eager to explore this ancient science. While visiting my wife in New Jersey in the summer of 1991 I started to attend an Iyengar Yoga Class at Yoga and Meditation Center of Montclair. My interest in yoga was heightened by this experience under the tutelage of Susan Morton. I knew then that not only did I want to continue to practice yoga, but I also aspired to become a yoga teacher. That aspiration was manifested in July 2012 when I successfully completed a 200 hour Teacher Training course at the Kripalu School of Yoga in Stockbridge, Massachusetts. Yoga is love, compassion, and life. I look forward to sharing that with my students.